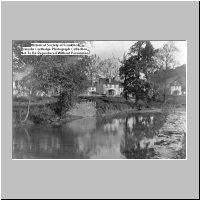 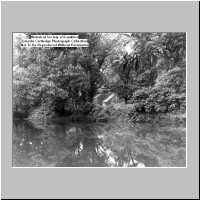 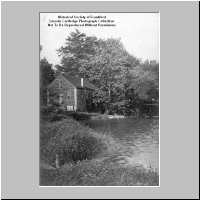 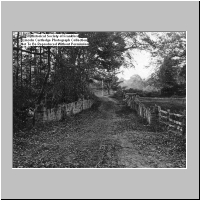 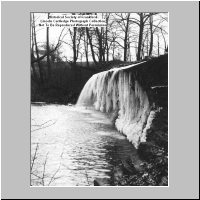 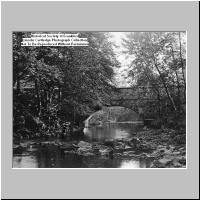 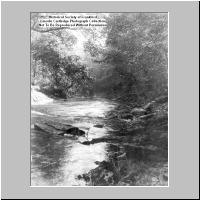 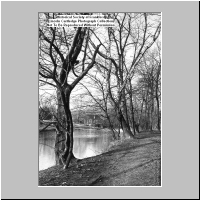 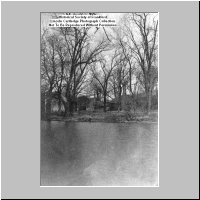 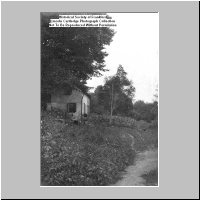 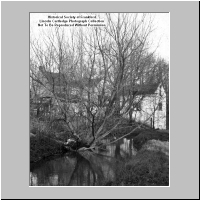 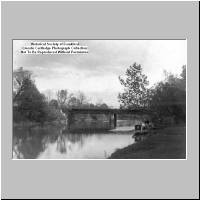 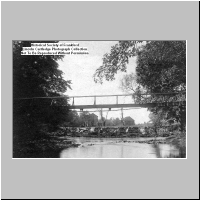 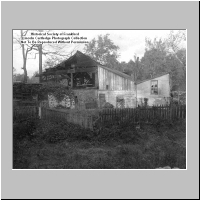 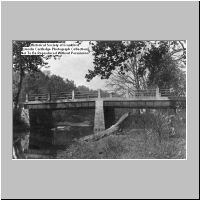 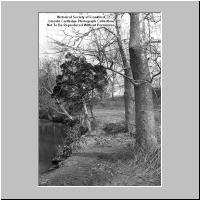 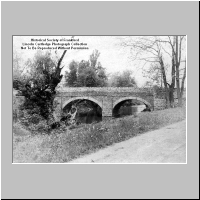 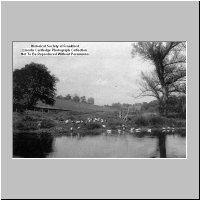 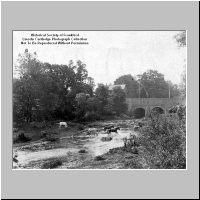 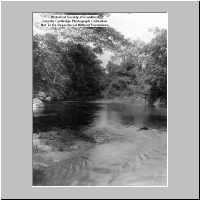 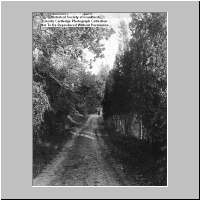 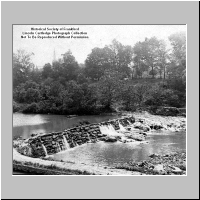 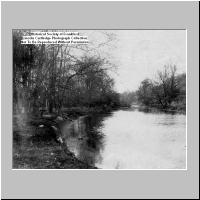 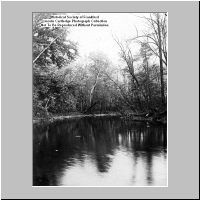 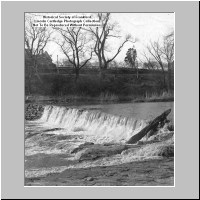 Most of these photographs show Pennypack Creek, in Northeast Philadelphia and Montgomery County, Pennsylvania, circa 1900-1915. 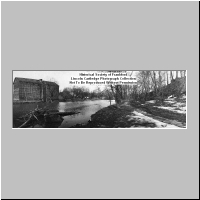 The images are just a small part of the holdings of the Historical Society of Frankford, founded in 1905. 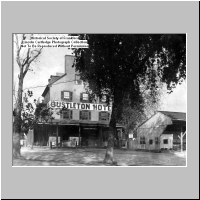 Many of its holdings, which focus on the Frankford and Northeast sections of Philadelphia, are unique and can be found in no other institution. 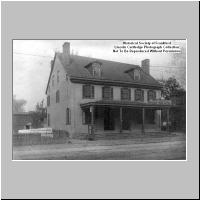 HFS is located at 1507 Orthodox Street, Philadelphia, PA 19124; call 215-743-6030 to make an appointment to visit the collection. 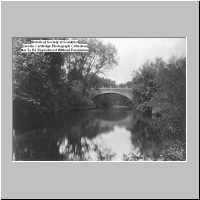 Image titles can be found either on the list below or on each full-sized image page, which can be reached by clicking the thumbnails below. 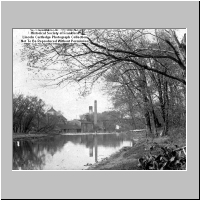 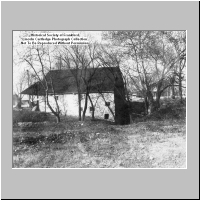 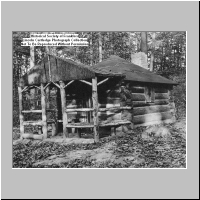 2005.005.0009 Pennypack Print Works, front view. 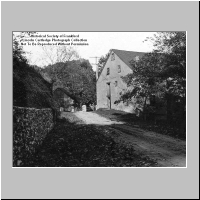 Hartel's Print Works. 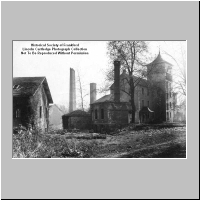 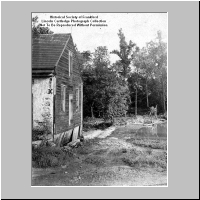 Demolished to make way for Pennypack Park. 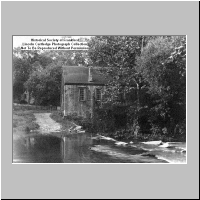 2005.005.0010 Portion of Pennypack Print Works at Pennypack Village. 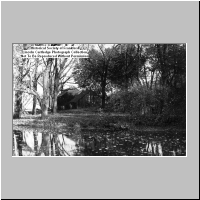 Destroyed to make way for Pennypack Park. 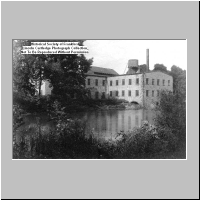 2005.005.0012 Old flour mill, Holmesburg, Phila. 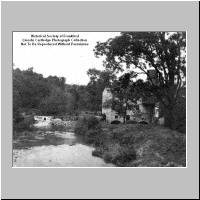 Built 1697, destroyed 1882? 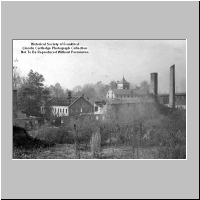 2005.005.0016 The Axe Factory. 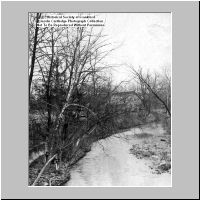 Pennypack Creek near Bustleton Pike. 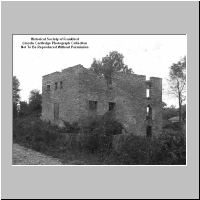 Destroyed in 1915. 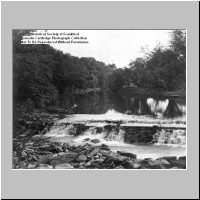 Now part of Pennypack Park. 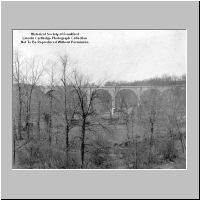 2005.005.0021 View near Rowland's Shovel Works, looking east. 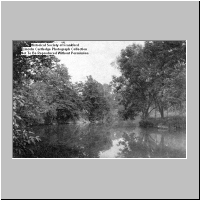 2005.005.0025 The Creek at Rowland's. 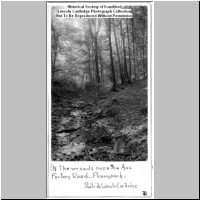 Pathway at Rowalnd's, looking west. 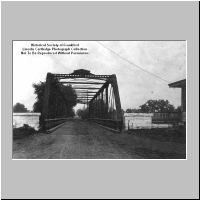 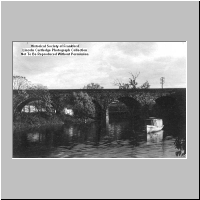 2005.005.0035 Bridge on State Road, Holmesburg, over Pennypack Creek, near House of Correction. 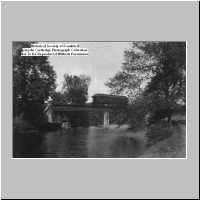 2005.005.0046 Bridge over Pennypack Creek at Paper Mills Station, Newtown Branch of Reading R.R. 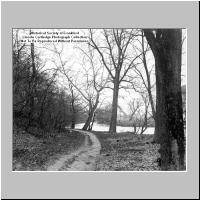 2005.005.0048 In the woods near the Axe Factory Road, Pennypack. 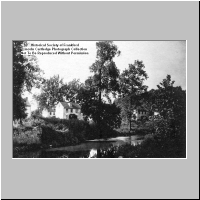 2005.005.0051 Pennypack Village. 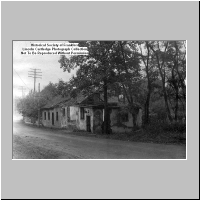 Demolished to make way for Pennypack Park. 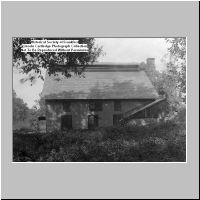 2005.005.0053 House in Pennypack Village. 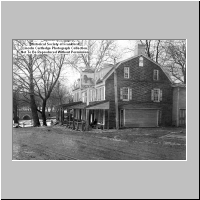 Demolished on -- to make way for Pennypack Park. 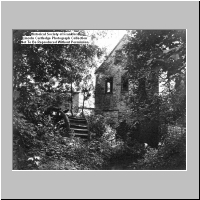 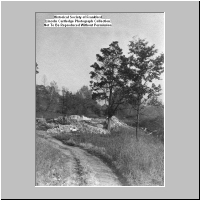 2005.005.0054 Ruins of a house above Welsh Road destroyed to make way for Pennypack Park.